Artificial intelligence in the End-of-Days: Killer Bots for Gog or Dry Bones to Praise God? - Breaking Israel News | Latest News. Biblical Perspective. Artificial intelligence is advancing at a lightning pace and is already being adopted for military use, raising questions as to what role this powerful new technology will play in the end-of-days. Will it be a terrifying rogue combatant in the final Biblical War of Gog and Magog, or will it be an unforeseen savior of mankind and even have a possible role in the resurrection of the dead? In one potential end-of-days scenario, technology plays a destructive role for humanity. A video, titled “Slaughterbots” and produced by the notorious Campaign to Stop Killer Robots illustrates this outcome in which autonomous drones armed with explosive charges wreak havoc on society. The video is part of a campaign intended to ban lethal autonomous weapons, a concern which clearly resonates with many as the petition has already garnered over 20,000 signatures. Aspects of the fictitious future depicted in the video are appearing to become reality. Both India and Japan announced this week that they are beginning to introduce autonomous artificial intelligence (AI) into their defense sectors. At the same time, governments also recognize that the destructive potential of AI raises moral difficulties. British Prime Minister Theresa May announced this week that her government is establishing an advisory body to coordinate with other countries in discussing how artificial intelligence can be used ethically for military purposes. It seems that any future war, including the pre-Messianic War of Gog and Magog, will include killer robots, and many spiritual leaders are already considering how AI figures into a religious vision of the end-of-days. Rabbi Michael Laitman, a leading expert in Kabbalah and the founder of Bnei Baruch Kabbalah association, believes that technology and more specifically artificial intelligence, will play a major role in the end-of-days but not necessarily a positive one. Rabbi Laitman believes that the same motives of Man which led to the construction of the Tower of Babel are also in play with the development of artificial intelligence. Though this motive sounds noble, Rabbi Laitman pointed out a flaw that turned their good intentions into evil. “This came from a place of ego, in which they wanted to take the place of God,” Rabbi Laitman said. 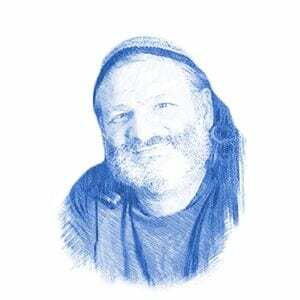 In an article that Rabbi Laitman published last Friday in Breaking Israel News, he outlined the dangers of artificial intelligence but also described a solution in containing potential problems. Rabbi Mark Goldfeder, a senior lecturer at Emory University School of Law, speculated that AI would, in fact, play a more positive role in the Messiah. “Some people have proposed an apocalyptic vision of AI in which Man and machine merge in the End of Days, suggesting that this would be tchiyat hametim (resurrection of the dead),” he told Breaking Israel News. He also described efforts to upload the entirety of an individual’s knowledge to a computer. The rabbi suggested that at some point in the future theologians will have to determine whether AI should be considered sentient and human. “The line between Man and machine in the Torah is not as clear as what we would like to think it is,” the rabbi said. Although AI poses many ethical and theological questions, Rabbi Goldfeder thinks that not only is this a good thing but that the development of technology was in fact intended by God to be part of Man’s role in being a partner with God in Creation. “One of the first commandments we received was to conquer the world, which we understand as that doing your best to participate with God in creation,” Rabbi Goldfeder said, citing Genesis. Rabbi Goldfeder believes AI will continue to be important even after the arrival of the Messiah.